There are three different ways for you to promote your business using Inside-Naples-Florida.com through our simple advertising programs. The first and most simple is our text links program. If you're approved a link to your business will be featured on all of our content pages under the menu bar. There are only five of these positions available each month and you must reserve and purchase your text link on every new month unless you prepay. Why? 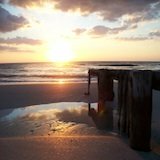 Because Inside-Naples-Florida.com is growing every day. As our traffic increases so will our advertising fees. It's easy to get started just send me a link to your website using the contact form below and make sure you leave me your name, e-mail address, and phone number so I can reach you. Once you are approved I'll send you to payment page. 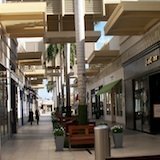 If you want to be featured with a small banner on the sidebar on all of our pages you must have a page dedicated to you, your business, or your service on Inside-Naples-Florida.com. If you don't have this already it's okay. If you're approved we'll create one for you at no additional charge. It's part of what we do here. Once your page is "alive" on this site it's ready to be featured by coming to this page and purchasing a month of advertising. 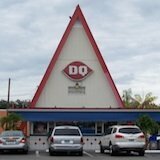 When your small banner ad is up it will be seen be everyone who visits any of our pages on Inside Naples Florida. Your feature ad will be the same size pictures where you see the thumbnails on the right sidebar. You can provide a 160 x 160 pixel thumbnail or we'll create a simple one for you for $10 additional. The ad also includes a text link right below just like you see on all of our pages. There are only three of these positions available right now each month and you must reserve and purchase your small banner feature on every new month. Advertising rates are always subject to change. If you have a special request I will consider it if you use the contact form by clicking here to send me a message. It will take you seconds to do. If you want to talk on the phone please include where you can be reached. 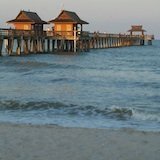 Inside-Naples-Florida.com is growing in content and popularity every day. 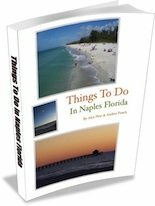 Soon I know it will be the #1 most visited website on Naples Florida. This makes it a great place to let locals and tourists know about your business, service, or profession. Thank you for your interest in advertising with Inside Naples Florida.